The world’s largest exporter of thermal coal, Glencore announced it would be capping its yearly coal production in the future to combat climate change. Glencore said it will prioritize its capital investment to grow production of commodities “essential to the energy and mobility transition” and limit its coal production capacity to current levels. 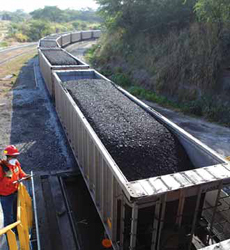 In 2018, the company produced 129.4 million metric tons of coal. “To deliver a strong investment case to our shareholders, we must invest in assets that will be resilient to regulatory, physical and operational risks related to climate change,” the company said in a statement. The company announced further steps to transitioning to a low-carbon economy, which included rebalancing its portfolio toward commodities that support low carbon. It expects the intensity of Scope 3 emissions to decrease and starting in 2020 will disclose its long-term projections for reduction in those emissions, as well as mitigation efforts. Glencore added that it was on track to meet its target of reducing greenhouse gas emissions by 5% by 2020. “We are developing new, longer-term targets based on policy and technological developments that support the Paris Goals, and intend to make these public in our Annual Report in 2020,” the company said. He added that companies who were holding on to high-energy thermal coal assets will stand to gain and realize higher prices. “Glencore sits comfortably in that space due to its competitive cost position,” he said.